Chapel of town government member J. F. Teller's family at Raadi cemetery in Tartu, Estonia. Built in 1794. English : Chapel of town government member J. F. Teller's family at Raadi cemetery in Tartu, Estonia. Built in 1794. English : A Gregorian Kyrie from the mass XI (Orbis Factor) used in Mea Culpa. Spanish football player David Villa celebrating after scoring a goal for Atlético de Madrid during the 2013-2014 season. English : Spanish football player David Villa celebrating after scoring a goal for Atlético de Madrid during the 2013-2014 season. Mesquite Flats Sand Dunes in Death Valley. English : Mesquite Flats Sand Dunes in Death Valley. Hawker Sea Fury FB 10. English : Hawker Sea Fury FB 10. English : An ICE 3 enters Schellenberg Tunnel on the Nuremberg–Munich high-speed railway line. Vormsi (Saxby) lighthouse, height 24 m, built in 1864. English : Vormsi (Saxby) lighthouse, height 24 m, built in 1864. English : Larvae of Aglais urticae feeding of common nettle (Urtica dioica). Filmed in Huittinen, Finland. St Volodymyr's Cathedral in Kiev, Ukraine. English : St Volodymyr's Cathedral in Kiev, Ukraine. English : A 1903 Burnley Ironworks Company steam engine in close up. Video taken Sunday 12 June 2011 at The Science Museum London. Galactic Wreckage in Stephan's Quintet. English : Galactic Wreckage in Stephan's Quintet. The 12 Paisley Abbey gargoyles. The set includes "see no evil", "speak no evil", "hear no evil" and an "alien". English : The 12 Paisley Abbey gargoyles. The set includes "see no evil", "speak no evil", "hear no evil" and an "alien". Sacred pushkarani or tank designed during the Vijayanagar time located on the eastern side of Krishna temple in Hampi, India. English : Sacred pushkarani or tank designed during the Vijayanagar time located on the eastern side of Krishna temple in Hampi, India. English : A Moscow Metro train passes through Begovaya station. View from driver's place. Lone Cypress, a Monterey cypress at 17-Mile Drive, California. English : Lone Cypress, a Monterey cypress at 17-Mile Drive, California. English : A male House Sparrow (Passer domesticus) sandbathing at Zoo Dresden in Dresden, Germany. Limestone mining quarry in Rummu (Estonia), that was established in 1938 and used until the restoration of Estonian independence. English : Limestone mining quarry in Rummu (Estonia), that was established in 1938 and used until the restoration of Estonian independence. English : Animation of a free standing Wisteria sinensis in Lelystad, Netherlands. Gravestones in St. Anne's Chapel, Malbork Castle, Poland. English : Gravestones in St. Anne's Chapel, Malbork Castle, Poland. English : Annual swimming event in the Scheldt in Vlissingen the Scheldt Cup, 1932. Painted ladies in San Francisco, California. English : Painted ladies in San Francisco, California. English : ER2-973 near Ligovo railway station, St. Petersburg, Russia. Pure (99.9 %), argon arc remelted hafnium-ingots with visible crystalline structures. View of the front- and backside. Colors are a thin film effect in the oxide layer. The metal piece-photo was taken on a white glass plate. English : Pure (99.9 %), argon arc remelted hafnium-ingots with visible crystalline structures. View of the front- and backside. Colors are a thin film effect in the oxide layer. The metal piece-photo was taken on a white glass plate. English : This is a flight around a 3D object created from micro-CT-data of a Acropora coral. English : Wat Arun Temple, Bangkok, Thailand. English : Casino Resort MGM Grand, Macau. Japanese garden scene from a chickee. English : Japanese garden scene from a chickee. English : A demonstration of the Moro reflex (also known as the startle reflex) in a four-day-old infant. The infant is lifted by his arms until his head leaves the floor, and then released; the sudden change in head position activates the Moro reflex and the infant reaches out with both arms. Stenbock House, the seat of the Government of Estonia on Toompea hill, built in 1792. English : Stenbock House, the seat of the Government of Estonia on Toompea hill, built in 1792. English : Paper mill in Fontaine-de-Vaucluse. English : Spinning raw egg starts spinning again after being stopped. Hardboiled egg remains stationary. Panorama of San Francisco from Pier 7 at dusk. In the foreground one can see ships docked at Pier 3, with Financial District skyscrapers in the background. At the left is the Bay Bridge. English : Panorama of San Francisco from Pier 7 at dusk. In the foreground one can see ships docked at Pier 3, with Financial District skyscrapers in the background. At the left is the Bay Bridge. English : Two young cats in playful fight. Both are from the same nest, and 14 weeks old. English : Promenade pier of Sopot, Poland. English : Nam Van lake, Macau. English : Model of the atom by Ernest Rutherford. He proposed a nucleus with protons and electrons spinning around. English : Phra Si Sanphet temple, Ayutthaya, Thailand. English : Reindeer (Rangifer tarandus) near Ukonjärvi/Lake Inari (Inari, Finland). English : View of Garachico, Tenerife, Spain. English : A picket outside Newspaper House in Cape Town, South Africa to protest against the replacement of a newspaper editor at the Cape Times. Also present at the demonstration are counter-demonstrators (waving printed red, white, and black placards) demonstrating in favour of the replacement by Sekunjalo Investments. Hoar frozen birch at the Moskva River in Kolomenskoe Park. Moscow, Russia. English : Hoar frozen birch at the Moskva River in Kolomenskoe Park. Moscow, Russia. English : This video illustrates the construction by single footing of a foundation. Throughout the video the different phases undertaken to construct a building can be seen. The election of this type of foundation depends on the condition of the soil. In this case, to display the single footing a very steady portion of soil has been chosen. This video will try to clarify the foundation process of a building, for those starting to become familiar with architectural concepts. English : La Défense, the business district of Paris, France, by night. English : Groups of scientists from several major institutions tally data collected by temperature monitoring stations spread around the world and make an announcement about whether the previous year was a comparatively warm or cool year. This analysis concerns only temperature anomalies, not absolute temperature. Temperature anomalies are computed relative to the base period 1951—1980. English : Dragonfly (Orthetrum sabina) on a Gymnocalicium mihanowichii, Ho Chi Minh City, Vietnam. 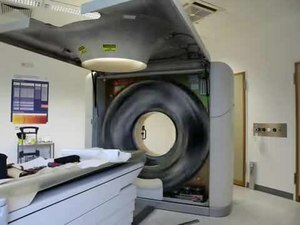 English : Gantry rotation of a CT-scanner with the cover open. BMW Welt by night, Munich, Germany. English : BMW Welt by night, Munich, Germany. English : The golden-bloomed grey longhorn beetle (Agapanthia villosoviridescens) can be found in the Caucasus, Europe, Kazakhstan, the Near East, Russia and Turkey. Array of iron warriors in the courtyard of the Malbork Castle, Poland. English : Array of iron warriors in the courtyard of the Malbork Castle, Poland. An overhead view of the New Year's Eve ball atop One Times Square in New York City, taken during preparations for celebrations welcoming 2013. English : An overhead view of the New Year's Eve ball atop One Times Square in New York City, taken during preparations for celebrations welcoming 2013. English : The alga Tetrabaena socialis consists of just four cells.